Recently making headlines for his innovative 4D sound setup (read an interview about it and see some diagrams on DJ Tech Tools), it's hard not to draw parallels between Max Cooper's scientist background and his penchant for pushing boundaries in both the music he makes and the technology used to perform it. His debut LP, Human, announced today, will be released on March 10, 2014. Until then, we've got the first single streaming below to stave our appetites. "Adrift" will be released on December 16 (pre-order via iTunes) and includes a remix from London producer Raffertie. 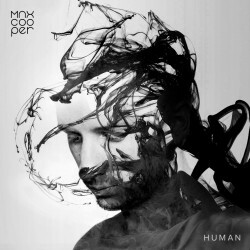 Kathrin deBoer provides a silky smooth vocal over Cooper's signature ethereal production, with a clicking, mechanical beat driving delicate piano. The Slow Revolt premiere "Never Get Close"